Pretty much finished this guy. Ran out of ink in my micron pen for the tattoos RIP. Also pics aren't the best sorry Let me know what you think: My converted butcher with cauldron. He likes to kill big beasties as tribute to the Great Maw using his knives and his trusty hooks and chains. you have two different poses in the box (head up and head down). for my 3rd one I rearranged it a bit on a scenery piece, not so hard to do with a bit green stuff. Let's imagine they finish up with all the soup-tomes we think they will do. Enough of the product line, past and present, is covered to make the crumbs without tomes largely irrelevant. Will we still need Grand Alliances, even at a conceptual level? When every model belongs to a faction that can form a full army, and all allies are limited by faction keyword (unless you're doing Open or Narrative, but then you don't need composition rules anyway), what functions do Order or Destruction or Death or even Chaos serve? 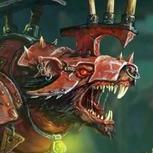 It's not particularly a lore role that these terms fill - Skaven and Grots have more in common than Dispossessed and Daughters of Khaine do. There is a lot of handwaving required to justify all the Order factions lumping together. "Legions of Nagash" is a particular lore-based group. "Death" is not. "Waaagh! Gordrakk" is a lore-based group. "Destruction" is not. Chaos would be the exception to this, of course, but even then all you'd really need are Chaos and Not-Chaos teams. It's not an army composition role - if you're making a Fyreslayers army, Maggotkin of Nurgle and Idoneth Deepkin are equally inaccessible to you as allies, unrelated to any GA keyword. There are a handful of easily updatable gameplay interactions (bonuses or penalties tied to particular GA keywords). I think that by 2020, the grand alliance keywords will be vestigial remnants, remaining on warscrolls simply because of inertia. In the meantime @Bill_S brought even more glory to FEC Wondering if there were any changes to the list? It is dumb as rocks and while I'll work around it, I am not going to be reconciled to it any time soon. It should have been Clanrats as generic battleline, and then a Plague Priest (is there a higher level for Pestilens? I don't pay much attention to the sickos) unlocks Plague Monks; Arch Warlock unlocks Acolytes and/or Stormfriends; Deathrunner (RIP) unlocks Gutter Runners; Master Moulder unlocks Rat Ogors; Clawlord unlocks Stormvermin. Someone at GW has a head injury. No, each grand alliance has an established identity, This is not going to change anytime soon. Destruction is Gorkamorka's alliance. Order builds civilzation and opposes Chaos( Death and Destruction), Chaos serve the dark gods and death is Nagash. You also don't seem to know much about the lore if you think Legions of Azorgh with Ironjaws would be Tier 1. You seem to be stuck in the old world. Back end of 4th, heavy into it from 5th through to the start of 7, as well as 6th Warhammer which I think was by far the best balance between character/games/models there has been I also played quite a bit of Mordheim, Warmaster (probably the best ruleset GW produced but sadly quite niche) and Fellowship of the Ring which had excellent skirmish rules not dissimilar to AOS. At around 7th GW seemed to lose a lot of its friendly neighbourhood hobbyist vibe and White Dwarf became a catalogue and I dropped out until AOS 1.5 or so. It was actually the things like Duncan’s vids, a return to Boardgames and more of a hobby focus in general that got me back in. I feel as though GW is probably in as good a place as it was when I started at this stage. I find the constant demands to make AOS something it isn’t, either a hyper competitive “balanced” system, or something in which all factions are equally treated as each other to be incredibly odd, as it is the asstmetrical character and tone and focus on narrative which has allowed GW to develop such a powerful and popular brand over the years and prevented it from becoming an also-ran or bankrupt. Many things have changed in the 20+ years I’ve followed Warhammer but the single consistent aspect has always been that Warhammer is a World first, and the models are simply a system of simulating the stories and protagonists within it. If you look at countless other fantasy offerings this is easily proven, plenty strive for more competitive or balanced or better rules systems but without the heart of Warhammer lore and models they don’t go anywhere. If Warhammer/AOS was just half assed Rat men and Evil Knights and vanilla Goblins etc who play well on the table but have no character it would have died a decade ago. Careful what you wish for. Positives: The sculpts over the last two years have been gorgeous, now if only any of the armies I played got any (holding out hope for slaanesh if the new fiends are anything to go by) Retrofitting old armies (while khorne wouldn't have been so early on my list, it gives me hope) Lore galore, gimme more of this good ******! Free rules and warscrolls is a great move and i hope this is something that comes to 40k, throw in apps like battlescribe and then most players with less money to throw around can get in for the price of a few start collecting boxes. Neutral: Bit of a personal gripe but I feel there is a lack of named characters in the game, many armies don't have any while others lack affordable ones. Stormcast marine mentality, this isn't a negative yet but they are going the way of space marines with oversaturation, many models are falling out of use with SCE players I've spoken to and we'll end up with an army that makes up a massive amount of the player base like space marines do in 40k (if you count "variant" armies like space wolves and blood angels that have separate books) Release scheduling, we've had the darkoath warqueen for what? well over a year almost 2 now? And still no darkoath over the horizon, gloomspite also had a long wait but at least they got there due. I won't complain about cool new stuff but pulling left field releases like a khorne rework while Slaves to darkness players have been waiting for something promised a year ago just kinda stings. 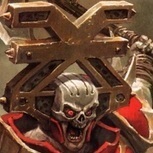 On the 40k side I play tau and emps children, and while i understand tau not getting any love, they're fine as is, we've certainly been left waiting on world eaters and emps children considering the precedent set by the thousand sons and deathguard codexes (here's hoping vigilus brings us some love) We could use more of the over the top AoS stuff, we've gotten a lot of cool stuff and I would like to see more things that can thrive in AoS that wouldn't have made it in WFB. Negatives: Pricing models and sales tactics, this may be the personal gripe of a broke college student but every army getting terrain and endless spells feels like scalping. While endless spells are optional, there is no benefit or alternative to not taking terrain, which means you have to shill out for one more kit if not multiple in the cases of some armies just to play. And these terrain pieces having such specific base shapes means it's a nightmare to proxy them if you want to be cheap or don't like the official sculpt. Low cost effective kits, many kits and box sets don't give you your moneys worth. The KO start collecting is a good example as it includes no battleline and the arkanaut box runs at around $50 CAD so that's a $150 investment just to meet the minimum battleline requirements. This can also be connected to my first point but I feel the cost of models like the Darkoath warqueen to be overpriced for a model with the size and stat profile of most $20 heroes, i can understand god-tier models like nagash and alariel being as pricey as they are but boxes like fulminators cost way too much and don't come bundled in a start collecting. And sigmar help the wallets of DoK and ID players who have no start collecting. Thankfully I play LoN and can get a mortarch, skeles and black knights for the cost of a singular mortarch. A lot of armies are stuck in limbo still and while this year seems to be the year those armies get rescued, while this is contradictory to one of my positive points I feel a little more could have been done to help older WFB armies than give SCE or Khorne even more stuff. Balance issues, while balance might not be GW's first priority, some units like the celestar ballista see a lot of overuse due to incredible cost efficiency and reliability. While every army should have staple units, those units shouldn't be able to reliably hit well above their weight in points... Rules and supplement swamp, we need an app that consistently updates with rules changes, FAQ's and supplements, I know GW wants to profit off of books but having rules spread across so many books, warscrolls and FAQ's is a problem. If an app existed that let you confirm physical purchases so that you could have a digital copy that was up to date with FAQ's as well as a free copy of the core rules and commonly used supplements like realms then things would be easier for everyone. I still don't know most of the realms spells and other stuff because I don't own the books, thankfully I've got friends with copies and my local tournaments provide printouts of every realm and FAQ being used. I run the ardfist. You will never have 30 die and be ready to come back. I run 5x10. The most I ever got back is three units. It's not good if you can't get your warchanter to the other side of the board. The only map I had success on is starstrike. It is also good in the realm of shadow where you can bring the warchanter to the other side of the board before bringing the units back. The following have all currently have up to date (AoS 2.0) books but don’t expect huge amounts of new models for them in the immediate future... DEATH Legions of Nagash Nighthaunt Flesh Eater Courts CHAOS Maggotkin of Nurgle Skaventide Beast of Chaos Blades of Khorne (new book announced coming soon) ORDER Stormcast Idoneth Deepkin Daughters of Khaine DESTRUCTION Gloomspite Gitz ——————————————— I think it’s almost certain the following will get new books this year or next at latest, at the very least they are ‘safe’... unless it’s a major release when they get their new books you might get new spells, terrain, a hero or two but their core model ranges exist. CHAOS Disciples of Tzeentch Something of Slaanesh (this will possibly a big release later this or next year with new models) Everchosen/Slaves to Darkness/Darkoath (again will probably be a big release with new models). DESTRUCTION Ironjawz Beastclaw Raiders/Ogors (possibly separate books but may get rolled together) ORDER Sylvaneth Kharadon Overlords Fyreslayers (possibly rolled in with Dispossessed) Seraphon ———————————— of the remaining I think Bonesplitterz are prob safe (worst case they get folded into some kind of combined Orruk army with Ironjawz). It’s the order ones are where it gets tricky. its generally assumed there will be 2 brand new Aelf armies released at some point in the next year or 2. the existing Aelf ones will either get folded into those or just as likely folded into some grand ‘Free Cities’ book with some combination of the Ironweld, Free Peoples, maybe some Duardin. So just tread carefully there. we’ll also probably get something random and vaguely unexpected (something for death maybe either an expanded Soulblight or DeathRattle or Deathwalkers) and something totally out of the blue. in terms of what is competitive though I’m sure others will be able to advise and it does change but LoN and DoK currently seem to be the beat sticks but this will change. It's really poor design that you can't get clanrats as allies in skryre. DoK get on well with Stormcast mostly because DoK not only share a deep seated hatred of Chaos that boarders on fanatical, but that they are also very capable warriors. Also whilst they do a lot of killing its important to note that Khaines teachings do contain rules and restrictions on killing (although I believe Morathi has under-played these a little). So they are not quite the same as Khorne who is into killing anything that moves. DoK are rather caught up in the concept of survival of the fittest in its most basic and crude form - strong survive weak die/serve. So whilst Khorne might sweep in and slaughter whole villages for no reason, DoK would rather fight warriors. Of course in combat they get a bit hazy on who is and isn't a foe - there's a great short in the codex of a warrior noting his respect in battle only before a Witch Aelf turns and kills him. The Witch is both lost in bloodlust but also seeing that the enemy were not skilled nor strong enough so she turned on the next nearest target . I think about this a lot actually. Going into day 3 of LVO there are 2 SCE in the top 8. One army has 2 units of 5 Liberators in the battle line. The other player has stardrake, 2 units of 5 judicators and one unit of 5 liberators. Order is actually much like a real world alliance than is typical to see in many fantasies. It's actually a very modern and mature take on fantasy alliances because you've got forces in there who really don't like each other or who have vastly different ideals and world views. You've even got some who hunt other order members (Idoneth). So you've got a lot of contention and not a perfect "we are good lets go do good stuff". It's more a "Here we are those who will build civilizations standing against the tides of death, chaos and destruction who would see all we build crumble into dust." It's like how in WW2 the Allies had the Soviets on their side against the ******. The Soviets had a vastly different world view, were not the nice happy allies and near the end of the war Allies were making alliances with German units and groups in a bid to resist a massive potential Soviet invasion push. Honestly if GW matures this setting as they are doing it could really become quite a powerful icon of lore and fantasy writing for a new age. The Facehammer podcast had the same interpretation. All units need to be of the same clan in order to have the clan-specific battlelines. The only exception is the general, that can be Masterclan without breaking the battlelines. But actually, I don't think it makes such a difference... If you want Skryre with screen, you would have taken 40 clanrats (200pts) or 80 (400pts) as allies. Now if you still want screen, you can take 3*20 (360pts) or 40+2*20 (440pts) clanrats, go Skaventide, and still benefit from all the Skryre "allegiance" traits artifacts and else. Plus any other clan you fancy If you don't want this much screen, then unfortunately you don't have anything except acolytes or endless spells. You can tell by the way their skulls evaporate into blueish gas upon death. Useless. I like the look of a mixed death army, composed of all sorts of horrors of the night, led by a Vampire Count. For me its all aesthetics and theming. The heart of the current Stormcast power are the Sequitors and Evocators, so the fact that your list leans heavily on them means you should be just fine in most games. All your other pieces are pretty solid choices that see common play and should serve you well going forward. Overall a great start and welcome back to the hobby. Exactly! Correcting my self though I can see that we can reach -3 BUT it require enemy target unit to: 1. be within 6” of a nighthaunt. 2. Target enemy unit has bern hit by the suffercating gravetide. 3. Target unit is within 6” of a Purple Sun. This is very unstable and highly unlikely sitation so banshees remain benched. I would have thought that ghosts was suppose to be scary. You know things that go bump in the night. Even Nurgle can easily build a -4 bravery debuff not counting the extra debuffs for the mentioned endless spells. Nice choice... the question is not easily answered. I‘m totally not into bedsheets, denying their existence since '93. Nagash or Vampires and with the beginning of AoS I got some troubles with reality checks, starting a FEC army. Totally your personal preference problem from a fluff/looks/traits perspective. Talking power levels, LoN all day every day. Not really sure what the new FEC book brings filthy cheese wise, but nothing obviously abuseable to my knowledge. There's always gain and loss with a tome/codex update. Sometimes its good to let the dust settle and see how things pan out. Might be that there's good reasons for these changes or that there are options you've not yet considered. Heck it might be that after mass playtesting GW could even be convinced to FAQ/Errata a change into the tome to "fix" the issue if it proves to be major enough (they are far more reactive to such things today). area denial : asingle 40mm base create a area of interdiction of 8" your opponent can't cross except if he fly or charge. Just run 3" in front og a big blob and look it having to take the other way around because of your single gryph-hound. If he charge your gryph hound, he will have to attack it first. If he doesnt.. the gryph-hound can attack, retreat in front of the ennemy unit but outside its reach. Rince and repeat. Or charge the edge of a blob while another big unit charge somewhere else, making pile-in more difficult. It make another very big area denial against deepstrike. Very cool in games where you don't have to "waste" a unit staying behind to prevent deepstrike in your a**. In low-points game, he is very useful for his big move+charge+move after attack. He can quickly flank the ennemy army, and your opponent may not always have enough units to use one to chase your gryph hound. And if he dedicate one to this, it's still a whole unit who had to go in the outsides of the board to chase a free model. If your opponent don't chase the gryph hound, he can grab or contest an objective. His single base also mean that few models can attack him, so his survival is better than it look. And, of course, near a gunline, he can scare some deepstrikes. Of course, against shooting, he is usually shot off before doing anything good. But against full melee army, he can be a real pain. I ended up 5th of a 1000 pts tournament with a weak list (no sacrosanct, only liberators, protectors, a castellant and a veritant) thanks only to the two gryph hound who are an enormous pain to deal with. I will straight up say that generally speaking I detest ally systems in most wargames because its often bolted on and tends to end up a mess. GW has actually done, what I think, is phenomenally well with AoS 2.0 in terms of allies and the Grand Alliance structure. I'm serious its really well thought out now in that you can run a Grand Alliance army or you can run with your ally block and yet still pure armies are dominating and viable. It's managed to allow a blending of a lot of factions through the lore without it breaking the gameplay nor army identity. It honestly impresses me and is something I hope GW keep going as it is without tinkering too much. I think that having an allies system that allows for allies without letting them dominate or break the balance is great. Grand Alliances might go away though or dissolve in time - eg Order could fragment and shatter. However right now I can't see them breaking up for a while. About a week ago I stopped into a local game store (non GW) close to my house on the way home from picking my youngest daughter up from daycare (she is 3). I had special ordered some of the Gloomspite stuff in and had just got the time to go pick it up. This was her first time in a game store and she was wandering around picking up every box (from any game) and showing it to me and asking me to buy it. I was pretty excited when she grabbed the Battletech box set and said "Daddy, I think I need this one because I want robots". That's quite a proud father moment right there! But, I told her that I already have that at home and we came to get something else. I said I would let her carry the boxes if she would just put back these other things. She got excited right up until I handed her the box for the new Mangler Squig. She made a weird face and told me in a very serious tone "Daddy, I don't want this - it's not awesome". And just like that she managed to shatter the previous proud father moment and made me question whether I can continue to raise her. Any kid that does not like goblins cannot be a child of mine... Glad to say that she has since come to her senses (before I was forced to put her up for adoption) and now is really excited about the "big bouncy monsters". This is definitely a skirmish game. Sam ‘hinterlands’ Pearson has been tweeting about it. Everyone has been speculating that he would do a new skirmish game since has was hired. It looks like this is it. If we look at the progression of complexity we have gorechosen, underworlds, killteam, Necromunda. I think this will sit between underworlds and killteam has in terms of complexity. It will be played on a board like both killteam and underworlds but will have measurement. There will be some kind of mechanic involving cards. I would like to see new warbands underworlds style but also rules for using your existing collection. It will have a short play time. I would like to see some cool rules for interactive scenery and multilayered environments. Some new scenery would be awesome. This is now my most anticipated release of the year. I can’t wait to see how it turns out. I am just worried it won’t release until the autumn. Cancon - I’ve Got Wood. Well what a weekend that was!!!! Onto Cancon - boy oh boy what an event. The largest AoS tournament ever. Congrats to Clint Herald and the team for organising and running such a complex event and to Rufio Symes andThe Honest Wargamer for their coverage and promotion. I’ve been playing (again) for 6 months and focused almost solely on Sylvaneth - because I was told they were a simple army with low model count ... yeah right !!! My first version was a true net list - I only had 6 weeks to learn the game, and build and paint the army. The list (Dreadwood) was well suited to team tournament but not so much individual. Nonetheless I took it to the Sydney GT and it went okay coming 7th? out of about 70. So I knew the list could work - but it had some Hard counters - as Matt Tyrrell exposed with his Death army. For the 2nd version I swapped out Drycha and went with an Allarielle / Ethereal Durthu combo to give me a ‘tanky’ Alpha strike but left the core the dame. I went to Brizhammer2 and managed to go 5-0 with it but it still had some glaring holes and I was fortunate I got good match ups. So onto Cancon and the meta had been evolving big time with more horde armies (beasts, Gloomspite, death) and the brutal Idoneth. I knew I had to beef up the battleline to give me a better late game esp against the horde and death armies. So I re-thought the list and created a ‘horde’ Dreadwood bybadding a unit of 30 Dryads and a unit of tree revenants. It had all the benefits of alpha but with a very solid ability to hold and contest objectives if the alpha didn’t work or if it wasn’t appropriate. The list was Allarielle - with Throne of Vines Durthu - Lord of Spites (re-roll first missed hit in all phases) 2 Branchwraiths with Acorn of the Ages/Re growth and Ranus Lamenteri/Verdant Blessing. 30 Dryads 4*5 Spites 5 Tree Revenants Geminids Batallions - Dreadwood Wargrove, Outcasts 1-drop army The tactics were: Allarielle / Durthu combo with Durthu taking wounds on Allarielle on a 4+ and then saving with ethereal save. Alpha strike for both if opponent made deployment mistakes AND if I got at least 2 stratagems at start of game. Durthu was relocated within 6 inches of opponent and then Allarielle makes a 16inch move B4 the turn. Then Allarielle - casts spells - usually start with throne of vines and then Geminids as it counters a potential double turn - if they take priority then Geminids goes right back through any unit I’m worried about hitting the duo. After that I cast either Mystic Shield on Durthu if I needed it or Metamorphosis. Then I’d pop Ghyrans wrath (the most valuable ability in Allarielles kit bag). Then raise either 20 dryads or 3 bow hunters depending on scenario. Allarielle then makes her next 16 inch move for first turn joining Durthu, What comes next is brutal - the Allarielle and Durthu alpha - if you let it. For instance, in game 4 it killed one alpha killed 60 ghouls, vargulf courtier, 9 wounds on a dragon, 6 on another (although I was able to use a rather filthy tactic with adjacent damned terrain). One of the most underestimated aspects of the alpha is the shooting. Allarielle has a single shot doing D6 and Durthu has 6 doing D3 - all with re-rolls to wound and Durthu re-roll 1 miss. Add in bow hunters and you can usually eliminate a fair portion or weaken key units. And then comes combat. Because of the ability to place woods you can usually work it so that Durthu get his +D3 attacks. 4-6 attacks, re-roll first missed hit, re-roll all wounds, -2 rend, doing 6 dmg 😮🥴. And then Allarielle. Apart from one notable occasion against the Master, Dave Kerr, she did the job. As to the branchwraiths - Pretty simple - raise a forest with Acorn and then cast raise dryads ona 7. The other (outside of 30 inches reach, raises a forest with its spell using Ranus (on a 4 or 5). Apart from 1 game I always had 3 forests at the end of T1. I tried to place The Acorn/Regrowth within 3 of a forest to then relocate within 18 of Allarielle or Durthu. From there it was a simple matter of bringing all units deployed off the board onto the board. I usually only had Allarielle, Durthu, Branchwraiths and The single tree revenants deployed pre game. After that - it was a matter of trying to keep the duo alive with her healing and Regrowth while using the 50-80 dryads contesting onjectives and threatening with the tree revenants. Spites are simple, but effective screens and blockers. So that’s the theory of the list. For the tournament itself - I did some practice games and lost my last 2 games but felt positive. I set a stretch goal of 5-1 and top 15 (and best Sylvaneth !!). I knew I’d need some luck as I haven’t played against popular and top tier armies - Daughters, Idoneth or Stormcast. Along with beasts, anything that can get behind my lines is a hard counter. As we saw in Dave Kerr’s final match at the masters the #1 target should usually be the Branchwraiths because their ability to raise dryads is essential as the (Dreadwood) list can be very soft. A quick summary of my games. G1 vs Steve Gibb Goblins (not Gloomspite). 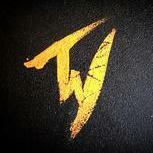 Steve is ex-WH player who was very successful and only recently re-started. His list was based on the models he had and he hadn’t played Sylvaneth. I explained it at the start and it ended up exactly as we thought it would with a lot of his army dead by T2. Looking forward to playing again when he can take advantage of the new book. Game 2 was against one of the world’s best Warmachine players, Ben Leeper , who had just started up AoS and took an awesome and hard Nurgle list. This game was brutal. Not pretty with him conceding after turn 1 after most of his army was dead for the ourposes of contesting objectives. Game 3 was against the current Master, Dave Kerr, with his Idoneth. First time I have played against them and I had little idea. I didn’t know the combos and I didn’t know how it played. And it showed! I deployed poorly and i probably shoukd have alphaed rather than rushing the objectives. However, I did actually have a good chance to make it very close, but it didn’t work out. On my T2, a full health Allarielle and 5 Tree Revenants charged 10 Thralls to gain his back scenario (worth 4?). I killed 4 ... then an 8 wound Durthu charged 4 eels in his own wood and Dave rolled three 6s from his 4 dice pre-combat volts, and then 3 more 6s from D3s doing 9 mortal wounds - killed him B4 he could swing !!! I am not sure what would have happened after that because Dave still (would) have had an eidolon and Volturnus and a unit of 10 Thralls left - but it would have been close. The quote an old 60s phrase ‘Shoulda, woulda, coulda’! I learnt a lot - I made a lot mistakes which i can hopefully learn from - learn the combos to help with target selection, learn the basics such as movement stats and become more familiar with unit rules. Looking forward to the next game and hopefully giving him a better one. Game 4 was another very short game against Anthony Quilty. Another first for me - playing a Flesh-Eater courts. Unfortunately this wasn’t a good game for either of us. After my first turn, i had killed or seriously wounded over 50% of his army and eliminated 80% of his models. He just didn’t have the answers to my Dreadwood Alpha. Not much of a game for him or me. Hopefully next time we can play with better match armies. Game 5 and up against good mate and fellow Canberra player - Tim Neal and his dominant Chaos Dwarves. Of the 6 scenarios there was one I absolutely didn’t want to play him - Knife to the Heart. With his shooting bunkernand troops he could more or less Guarantee a minor win if I engaged - he has 2 * 40 inch mortars with 1-2 shots each that don’t need LoS mortars. Needless to say - round 5 was Knife to the Heart on table 7 - damn !!! I could have just sat in corner and settled for a draw - but after having only 6 turns from my previous 3 games, I wanted to play !! I had a plan - Alpha to kill some 10-20 Foot troops and take 1 or 2 of the magma cannons and then teleport back to home base and heal and then go again and try and storm his objective. Tim deployed perfectly and I only managed 10 and then killed only 1 cannon (I should have comfortably Killed both but the dice gods deserted me). Then Tim’s went hot and Durthu died and Allarielle had to retreat to heal up. I then threw everything against Tim and he countered it very well by blocking my forest teleport options (including a sneaky use of Ogrids brimstone). I had one Chance but needed a 6 post teleport on 30 dryads for an instant win. I janked This once at Brizhammer vs Deano Matthews but not this time. Tim deployed perfectly, countered every move and controlled to board and got a well deserved minor win - and ended up 10th overall. For Game 6 I had the pleasure of playing Dan Doyle and his Khorne. I had never played against them so i asked for advice. Dan was great. “Just take the objectives, and don’t kill too much too soon as i don’t have the hitting power to contest the objectives if you’re in the wood”. As an ex Khorne mortal and beasts player in V7, the red mist descended and I totally disregarded his advice, went full agro a d started to feed the blood tithe very very quickly 😜. I used my 1 drop and movement teleporting to start to rack up objective points. My Alpha took of 6 Juggers and put a lot of wounds on his Shrine. However, I didn’t realize the power of the slaughter priests that did 12 mortals to Durthu in one turn and as a result Allarielle was exposed to the marauders that did 15 (of 16) wounds to Allarielle. While all this was happening I managed to consolidate around the key objectives. A pivotal moment was when Dan forgot totally to use his blood tithe to raise 20 bloodletters and pressure my back objective. Because of this the score ballooned out to ~14-5?. We had only got through 3 turns with 25 mins left and decided to end it there. We would have got through 4, but not 5 - so apologies to Dan. Another great game with lots of lessons again. My original stretch goal was to go 5-1 and get into the top 15. I managed to go 4 major wins, 1 minor loss and 1 major loss and picked up all 6 scenarios. Overall I canme 13th out of 200 and was top placed Sylvaneth army. So absolutely stoked. On the army - it’s being retired and sold (PM me If you’re interested :)). Now that I’ve learnt the game rules its time to explore the different play and army styles so I’m running with a host of different armies over the next 6 months that I’ve been able to either re/base or acquire. Ideally I can get my Khorne Beasts up and running B4 the Sydney tournament on the 15/16th Feb - although it might be a stretch. If not, I have a character light death armybthays intriguing me 🙂 Thanks all for comments on the army. Disappoint not to get a nomination - but understandable given the quality of the armies that were there.